The menu leans towards fusion and Asian dishes alongside an interesting take on pub inspired dishes served with a beer of the day. The décor exudes modern black and white gothic effects, photographs and dripping candles and live jazz. Try a hanger steak or ale steamed mussels complimented by a fine glass of wine or crisp beer, tapas or a hearty fish stew. 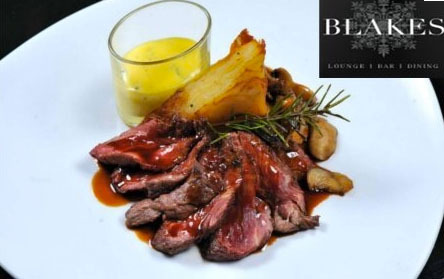 Blakes Bar entices the senses and wraps the palate in tasty, statement dishes and bold décor. 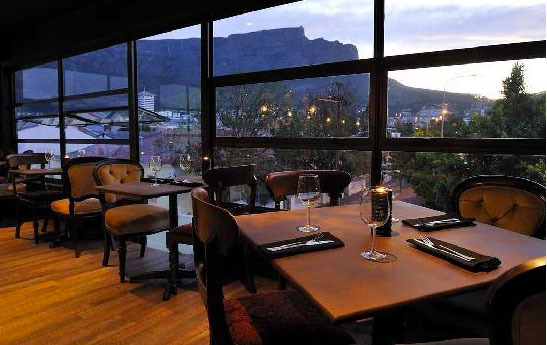 Blakes Bar is 0.9km from the centre of Cape Town , the nearest airport 21.3km (Cape Town International Airport).